Betty Crocker wants to give you a chance to show off the creative solutions and tasty treats that you’ve created for your family and friends. Now through June 30, visit the Baker's Challenge page at GlutenFreely.com for the chance to win a grand prize of $5,000. The grand-prize winner will also have the chance to be featured on a Betty Crocker Gluten Free dessert mix or Bisquick Gluten Free baking mix package and/or be featured in a Betty Crocker publication. Just submit an original gluten-free holiday-themed appetizer, bread or dessert recipe using any Betty Crocker Gluten Free dessert mix or Bisquick Gluten Free baking mix. Recipes will be judged on five key categories: taste, creativity, ease of preparation, consumer appeal and appearance. 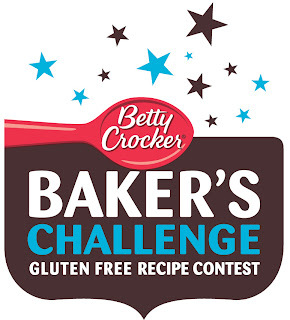 If you’re one of 10 selected finalists, you will receive a Betty Crocker Gluten Free Baking gift basket filled with baking items and Betty Crocker Gluten Free mixes. 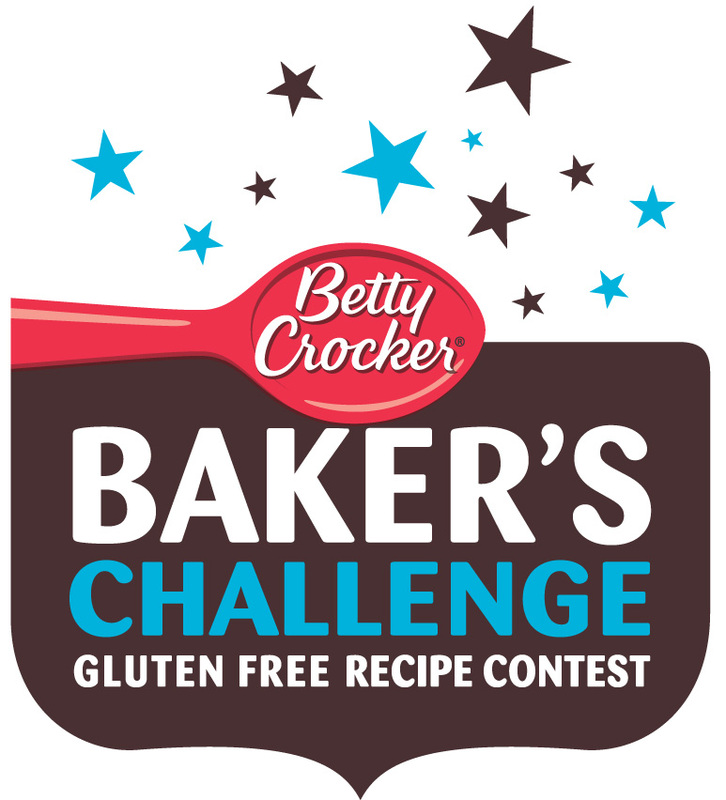 Finalists’ recipes will be featured on the Baker's Challenge page and voted on by the Gluten Freely community to determine the grand-prize winner. 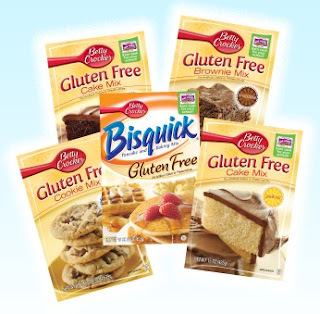 In conjunction with the recipe contest, MyBlogSpark is offering one reader a prize pack consisting of each of the Betty Crocker Gluten Free dessert mixes (chocolate chip cookie, brownie, yellow cake and devil's food cake) plus a box of Bisquick Gluten Free. To enter, leave a comment to this post or on the Gluten Free Philly Facebook page about which supermarket or natural-foods store you frequent that offers the best selection of gluten-free groceries. The giveaway runs now through Sunday, June 5 at 11:59 p.m. Eastern Time. I’ll randomly select one winner the next day and will contact him or her by email or through Facebook, depending on method of entry. If I don’t hear back from the person with his or her mailing address by the following Tuesday at 8 p.m. Eastern, I’ll select another name. DISCLOSURE: Betty Crocker, through MyBlogSpark, has provided me with product samples, product information and is offering the prize pack. Neither I am nor any immediate family member is an employee, officer, director or agent of Betty Crocker of MyBlogSpark or their respective parent, subsidiary and affiliated entities, advertising and promotional agencies. My full Disclosure Policy can be found at the blog's Disclosure page. We buy most of our GF food at our local Walmart. Living just south of Dover DE we have less selection than up north. Although summer is easy....fruits and veggies galore! Kroger offers the best selection of gluten-free groceries for me :) *Thanks* for the giveaway! Not all Jewel's are created equally, but the one on Caton Farm Road and Route 59 has a fantastic selection of GF products including the Betty Crocker mixes! Our local Giant in Warminster, Pa has a great gf section, but for more choices, I'll head to Wegmans in Warrington or Whole Foods & Trader Joes in Jenkintown.